Ever been to a live NASCAR race? 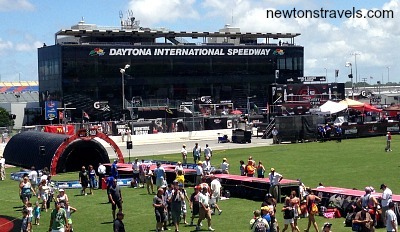 We had the opportunity to attend our 1st NASCAR race live last year, the 55th annual Coke Zero 400 on July 6th, 2013. One of the best experiences of my life. I think Kev would agree. 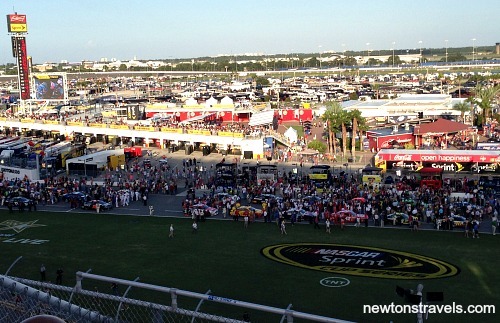 We LOVED seeing the Daytona NASCAR race live. Something I will never forget and now I want to make it a goal to visit every track. Our Florida vacation was planned around the race so we spent the whole afternoon and into the night at the track. We started out at the Sprint FanZone until the race started. Here’s some of the things we got to do. 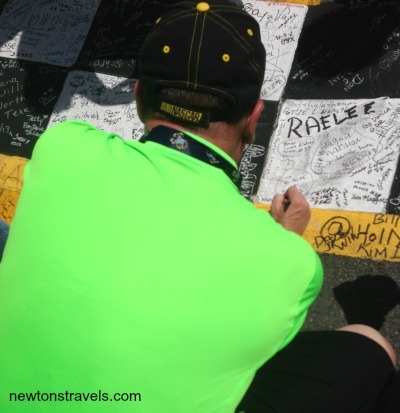 We had access to the trioval grass down by the track where we got to sign the start/finish line. Signing the start/finish was one of Kevin’s favorite parts. And speaking of the track it was CRAZY. We also were able to stand and watch as the race cars went through the inspection line, had a bite to eat (not very vegetarian friendly though), up close access to drivers interviews, their garages and much more. We didn’t get the chance to meet any drivers or get autographs but the experience was like no other. We listened to nine-time Grammy winner Sheryl Crow and got to see actress Alyssa Milano who was there signing autographs. We had great seats, the pre-race show was wonderful and the flyover of 8 vintage warbirds was cool (Kev missed this because he was trying to find ME something to eat). I still feel bad about that. It was a fantastic race, 160 total laps equaling 400 miles and one of the nations biggest fireworks displays. Jimmie Johnson took home the checkered flag. There was a ton of great action on the tracks and the smell and experience of it all was something we’ll never forget. We parked in a remote parking lot for FREE, took a bus over to the raceway and at the end it took quite some time to walk back to and wait in the bus line to take us back to our car. Overall it was a painless experience! I also wanted to give a shout out and say thanks to two very nice ladies. Sharon, a rep for NASCAR/Daytona Speedway called us the day before the race to make sure we had all the info we needed and thanked us for our business. Then there was the lady who made me a grilled cheese sandwich during the race because they didn’t have anything but pretzels that I could eat. We truly appreciated these kind ladies. Good customer service goes a long way. Oh yea Daytona International Raceway broke ground on Daytona Rising, the $400 million redevelopment of the front stretch grandstands due to be completed in 2016. 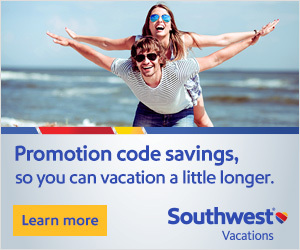 Sounds like it’s going to be a great improvement. We tried to get to a race at Chicagoland Speedway since we do live in IL but we weren’t able to make it last year. The other one we really wanted to go to was the last race of the year at Homestead-Miami Speedway but that didn’t happen either. We always have next year right? In fact, we are already in talks of returning to Daytona in 2015. Now if we could just get beyond the gates to meet and greet with some race car drivers, that would be most awesome. Have you ever been to a NASCAR race? Sounds like fun, but I would get too tired of the noise….